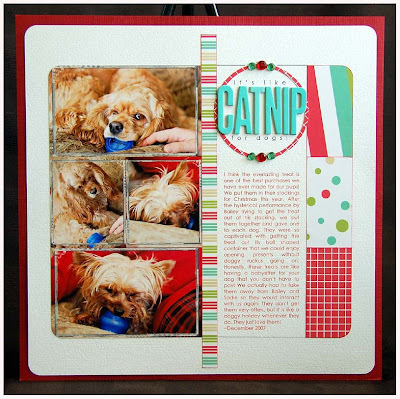 These next two layouts are my February projects for Provo Craft. The Jo-Ann's stores need some Cricut layout samples...so that was my assignment. First up, I had to do a Halloween themed layout. Which is hard for someone who doesn't have kids and who doesn't really do anything for Halloween....but I remembered that I did have this CUTE photo of Sadie in her costume. 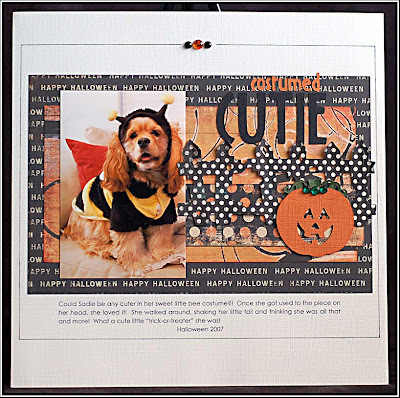 This layout uses the "Paper Dolls Dress Up" cartridge (fence, pumpkin cuts), and the "Opposites Attract" cartridge (letters). And my second assignment was a summer themed layout. I used the "Camp Out" solutions cartridge (cabin, shooting star cuts) and the "Opposites Attract" cartridge (letters) on this one. 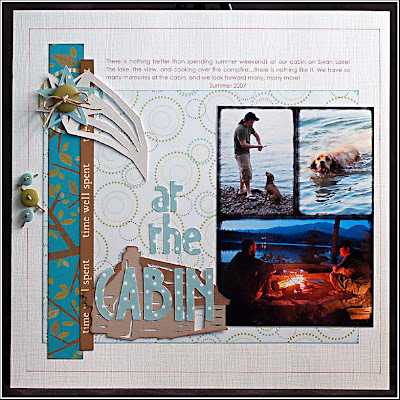 On both layouts, I really wanted to show that you can use these great cuts while still maintaining good design principles, and a balanced layout. Alright...I may just go into shock after posting so many layouts now. ;) Hope that you like them! And now I have a random recommendation for anyone who has a glass cooktop stove. The Scotch-Brite Cook Top Cleaner is A-W-E-S-O-M-E!! Alright- totally finished selling product to you. 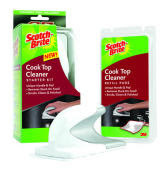 I swear I make NO commission on the Scotch-Brite cooktop cleaner...hee hee! Just had to share- in case any of you have the same issue with cleaning your glass top stove that I did. I hope you have had a fabulous start of your week! Great Layouts, Lea! You do beautiful work. WOW! Lea these are amazing! No surprise though since I already know how fabulously talented you are! Lea, I was wondering about those Scotch brite things - I had one in my hands on Friday and I was soooo tempted to buy it because we have a black and stainless stove. I put it down because I thought it couldn't possibly work without scratching - so thanks for the review, I'm going to go back and get one! I'm totally going to look into that Scotch Brite scrubber. Joel's stovetop is black and it's a pain to clean without it being all streaky. The one thing we've found that works is Windex Multi-Purpose spray - the one with vinegar. But you still have to buff it good to prevent streaks. I'm all for something better!!! These layouts are fabulous. I love seeing your layouts too....you have a beautiful graphic, clean look I love. Thanks for the stove-top cleaning recommendation....I'll definitely be looking for some. Like them... wow they are stunning! Wow! All of these layouts are awesome and very cool! 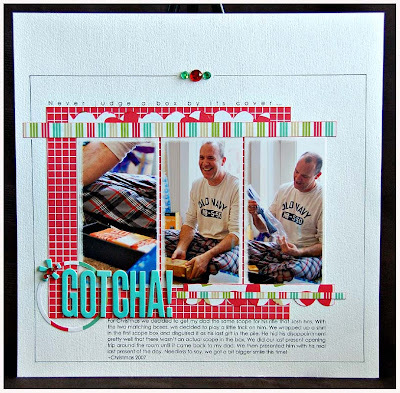 I just love your style Leah, your cards, your layouts, YOU ROCK. And thanks so much for the tip on the scotch brite, I've been thinking about it and now I def have to try it!!!!! OH, WOW, these layouts are FANTASTIC!!!! So love your pictures, your designs and all the gorgeous touches on them!!! Total eye candy! Wow, Lea! These are all soo great! You rocked those AC papers and your style always looks amazing...on cards or LO's. I have a glass top stove as well and hadn't heard about those cleaners! I'm going to go get me one :) Thanks for the recommendation. Your layouts are fabulous! I absolutely love them. Thank you for sharing so much creative goodness! I love them! So full of fun details and gorgeous colors! !